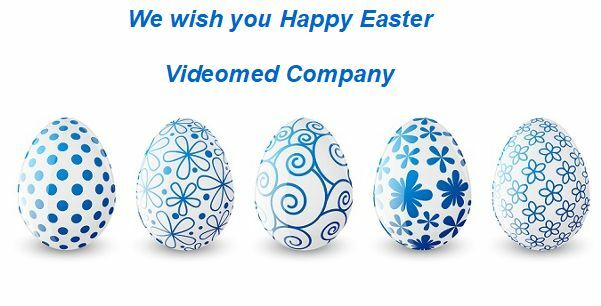 Videomed Electronics Works was established in Poland in 1989. Our company is one of most creative on the market in the ENT field. 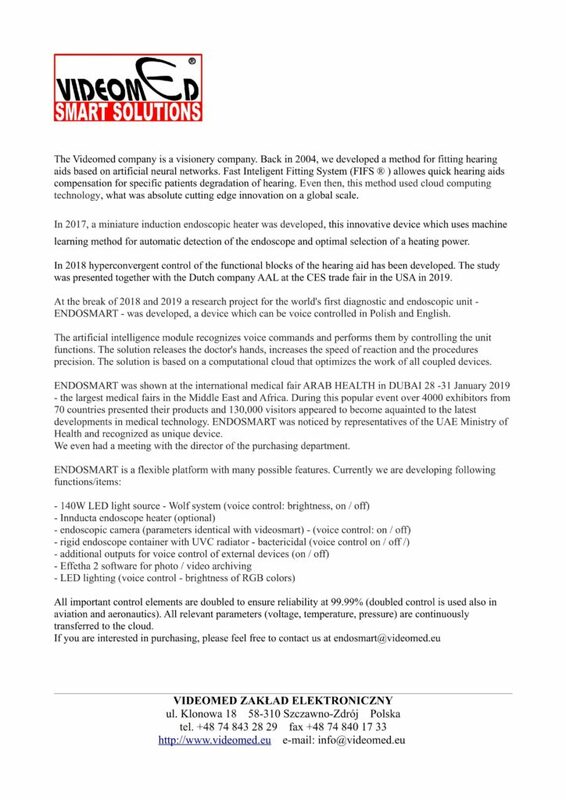 Moreover we are both precursors to the production of digital hearing aids and the only manufacturer of audiometers in Poland. Videomed has more than dozen patents, especially in laryngology and otolaryngology field. Thus we are able to create high quality devices based on the best standard solutions and the most advanced innovations. Videomed Electronics Works characterise with great care and being up to date, hence we deliver the highest quality, world class software backed up with service and technical support, for both the Polish and World markets. Capability of designing hardware, software and know-how in manufacturing process delivers equipment that is innovative, reliable and easy to handle at the same time. In 2006 we obtained ISO 13485 and ISO 9001 certification issued by Tuv Nord (our current certificate – CE 2274). In addition, all of our products are marked with CE as well as Free Sale Certificate. 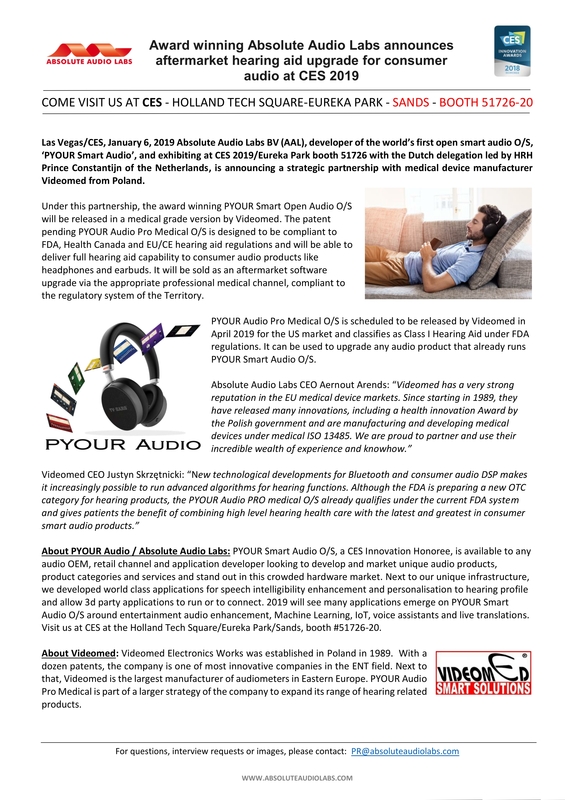 For many years our company has been annual exhibitor at EUHA exhibition (EU Hearing Healthcare) in Germany. And what is more, in order to constant development, since 2011 we take part in ME-OTO exhibition in UAE as well. We are always looking for the latest solutions to ensure that our offer is possibly the best for audiologists, surgeons and patients!